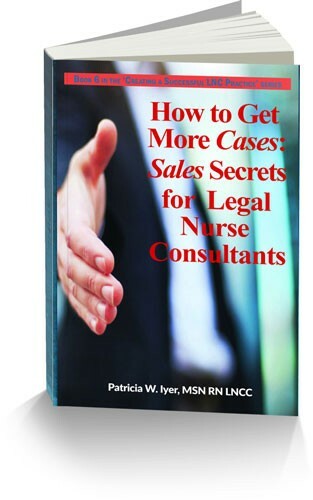 This comprehensive book prepares you to take advantage of a range of ways to market your legal nurse consulting business. I share concepts relating to branding, relationship marketing, online marketing and more. You will discover techniques to help prospects and clients know, like and trust you. You will get in-depth knowledge about using websites and social media to market. Legal nurse consulting is particularly rich in stories. One section of the book defines the power of stories in attracting clients – whether those stories relate to cases you’ve handled or are the testimonials you collect from clients. Exhibiting provides a great opportunity to meet your prospects face to face. The last section provides solid tips for what you need to know to have a successful exhibiting experience. 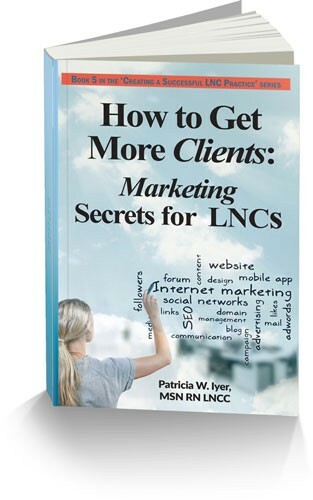 After I wrote Legal Nurse Consultant Marketing in 2016, I realized that book just scratched the surface of the subject. 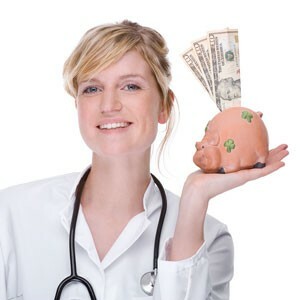 I find legal nurse consultants have a constant need for current tips and tools that make marketing and sales easier. The book you are holding in your hand greatly expands on the tips in Legal Nurse Consultant Marketing. Let’s face it. Without marketing and sales, you don’t have a business. Marketing brings attorneys to you. It makes them aware of your skills and what you can contribute to their practice. You need sales skills to close the deal and bring in the case. Marketing brings the attorney to your door. Sales enables you to bring the case through your door. Your ability as a legal nurse consultant to fine tune your sales approach makes the difference between success and failure. In this book, you’ll discover how your personality affects sales. You’ll get concrete tips for how to successfully sell to attorneys. Discover secrets of warming up cold prospects. Use the tips in the chapter on successful sales presentations to get ready for and ace a meeting with an attorney who is considering hiring you to work on a case. Lastly, you will get tips for closing the sale. 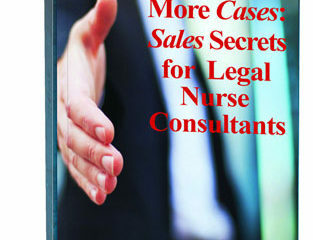 This book is specifically geared to helping legal nurse consultants bring in more cases. 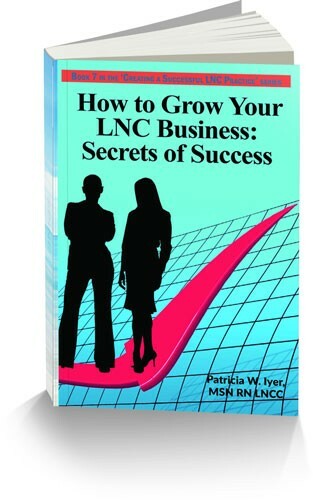 Discover how to grow your LNC business. Your mindset matters. The beginning of the book probes how your attitude affects your legal nurse consulting success, and how you can make it your friend. One of the best ways to demonstrate your expertise is to ace a presentation to attorneys – at a conference or at their law firm. Four chapters go into depth on techniques to master public speaking. You’ll be inspired by the stories of how five experienced legal nurse consultants started and grew their businesses. Section One asks the provocative question, “Are you your friend or enemy?” Mindset matters for success. Get inspired by the techniques for tackling adversity. Section Two helps you take advantage of one of the best ways to grow your business – to teach attorneys. Making presentations to attorneys is an excellent way to demonstrate your expertise and prove your value. Four powerful chapters give you the specifics on preparing for and delivering a polished professional presentation. Section Three has pure inspiration. Five experienced legal nurse consultants share their stories of how they got started and grew their businesses. They reveal their triumphs and challenges. You’ve gotten your legal nurse consulting business started, you’ve gotten clients, and you want to sustain your success. 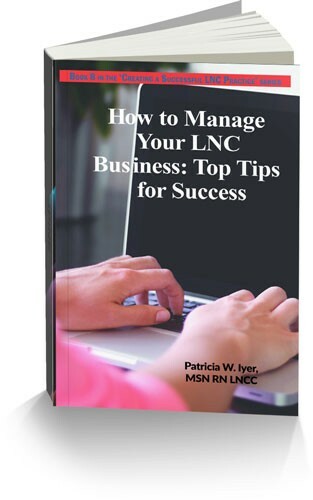 You need to know how to manage your LNC business. Business development and client management are intertwined. Both are necessary for a stable business. In this book I tackle how to control your money and your goals, to subdue the evil twins of perfectionism and procrastination, and to get more done through outsourcing. You can reach a stressed out state as a business owner. I share tips for managing your stress and health. Ready to hire an employee? I added a chapter on the process of interviewing and hiring. The second part of the book shares tools and techniques for deepening your relationships with your clients. You will discover how to win over and retain the clients you want and recognize those who are too much trouble. Mastering negotiation, business communication and conflict are essential. I show you how. This is the book to use to build a stable foundation for your business. Section One focuses on the business processes that allow you to profitably manage your business. You will learn how to map out your business and pinpoint the essential factors. This section includes pointers for financial management, as well as how to accomplish your goals. You will learn to get more done through controlling distractions and effectively outsourcing and hiring. Section Two includes tips on the most important relationship in your business - the one you have with your clients. You’ll learn how to deepen your connections with your clients through your communications. When conflict or the need to negotiate arises, the tips in this section will give you the confidence needed to tackle some of the world’s best negotiators. Lastly, you’ll see how an attorney views the skills of an LNC. This series is designed to give you the essential knowledge you need to grow your business. watch when it suits you!